Remember that episode of Seinfeld when Kramer tells Jerry and George about his brilliant new idea, a pizza place where customers make their own pie from scratch? 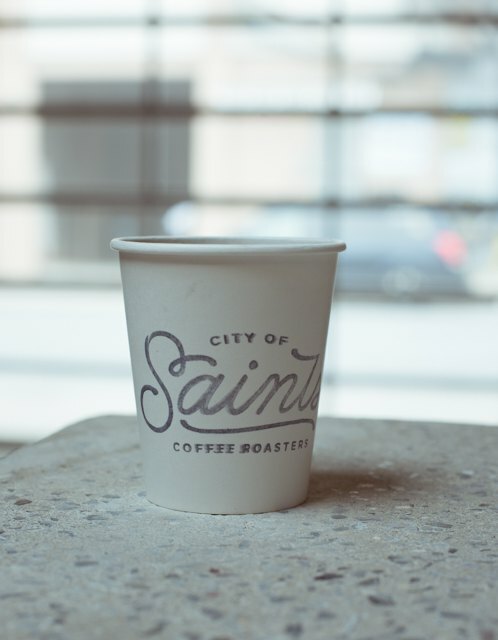 Now City of Saints Coffee Roasters, with a newly opened coffee tasting bar and roasting plant at 297 Meserole St off the Montrose L stop, is offering a similar service for coffee lovers and coffee merchants alike, though different in one important way: the guys at City of Saints (CoS) actually know what they’re doing. “I started roasting when I was 16 years old,” said Joe Palozzi, CoS’s main roaster. 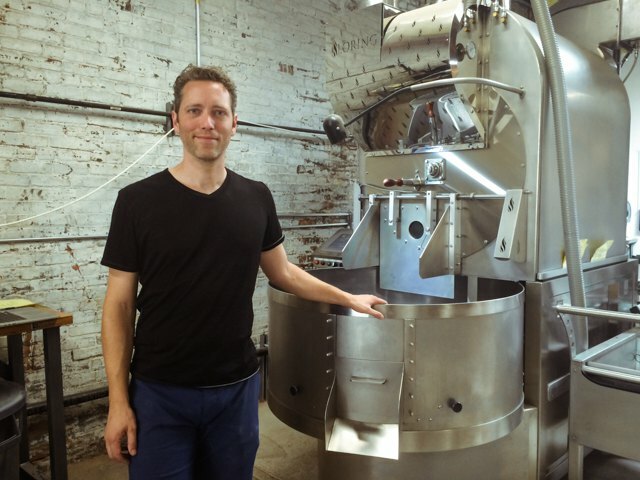 Joe, son of a coffee roaster in Rochester, grew up steeped in the world of coffee—a fount of niche knowledge he's put to use at CoS.
Joe Palozzi with the impressive Loring S70 Smart Roaster. 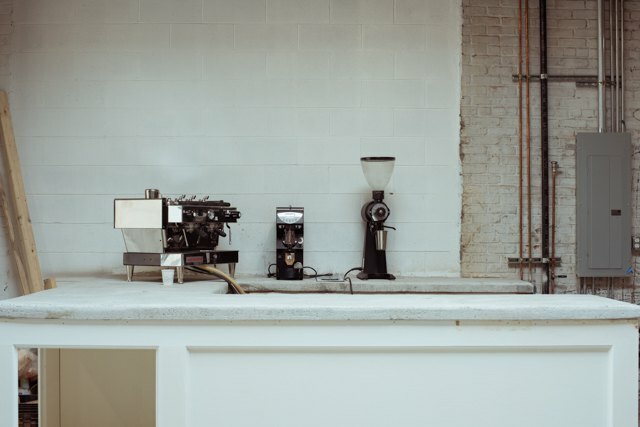 When you sit at the new tasting bar, sipping a warm cup of freshly roasted coffee or their signature cold brew, you're surrounded by all the rich regalia of an authentic roastery. 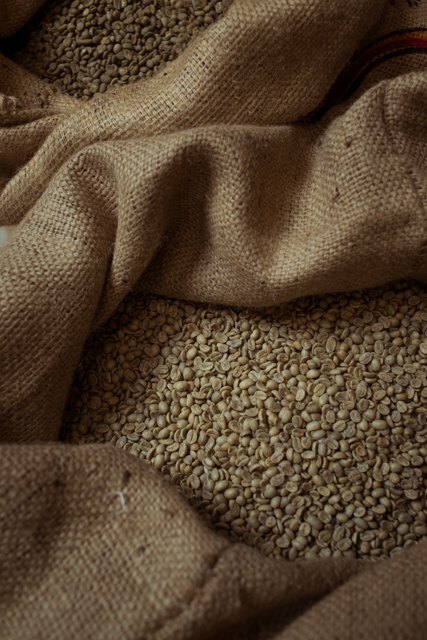 Burlap sacks filled with green (unroasted) single-origin coffee beans from Guatemala, Yemen, Colombia and elsewhere line the shelves and pallets against the wall, and in the center of it all is the impressive Loring S70 Smart Roaster. The Loring isn't just for roasting CoS's coffee—and here's where Kramer's idea echoes. The machine is open to other New York coffee merchants too, like the Doughnut Plant on the Lower East Side, one of CoS's clients. 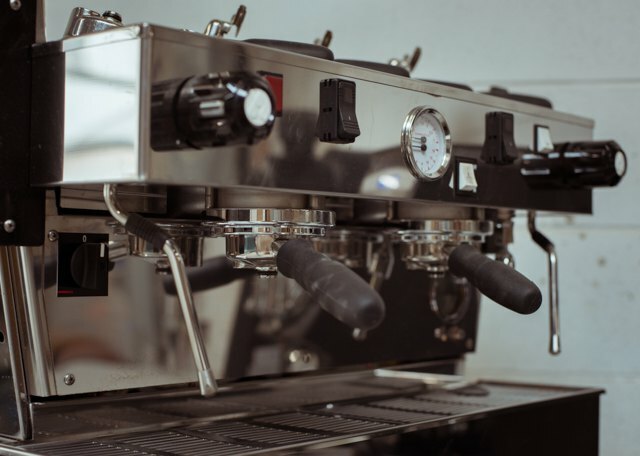 According to Joe, on a Monday-Friday, 9-5 schedule, the highly computerized smokeless roaster can produce close to 1M pounds of perfectly roasted coffee per week. That's why CoS opens up its facility to coffee merchants. 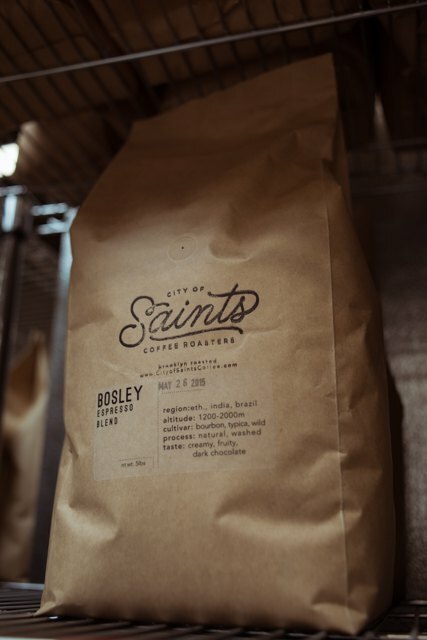 They offer toll roasting, which means CoS staff will roast coffee beans to a client like Doughnut Plant's specifications; and time sharing, which means CoS leases out full use of the facility to smaller coffee companies that don't have their own roaster. All this momentum explains why in the short span of two years, CoS has expanded from a small company that rented equipment themselves (from the Pulley Roasting Collective in Red Hook) to a full-fledged roaster with three locations of their own--one coffee shop in Hoboken, another in the East Village and the new production headquarters. For Joe, the Bushwick facility only marks the start of CoS's seemingly endless possibilities. "With the Loring, we'll eventually have the capacity to grow our retail stores further," he said. But not at the expense of quality. It's a CoS tradition that everything from the chocolate sauces and vanilla syrups they use in their drinks is made from scratch, with fresh ingredients. We can't wait to try our first cup. 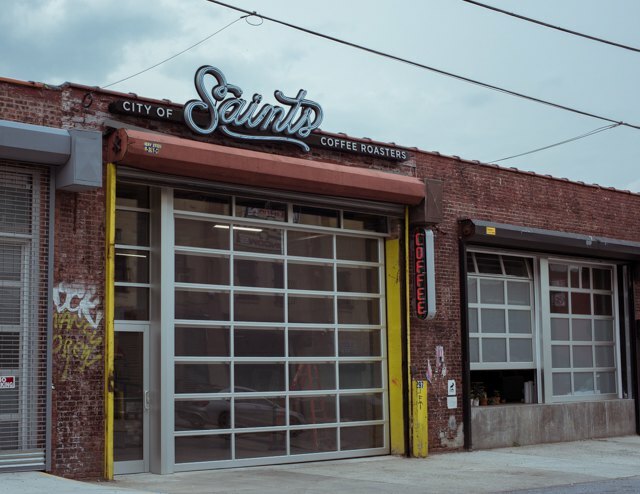 City of Saints Roastery and Tasting Bar, 299 Meserole St, Brooklyn. Hours will be announced. Follow them on Instagram.